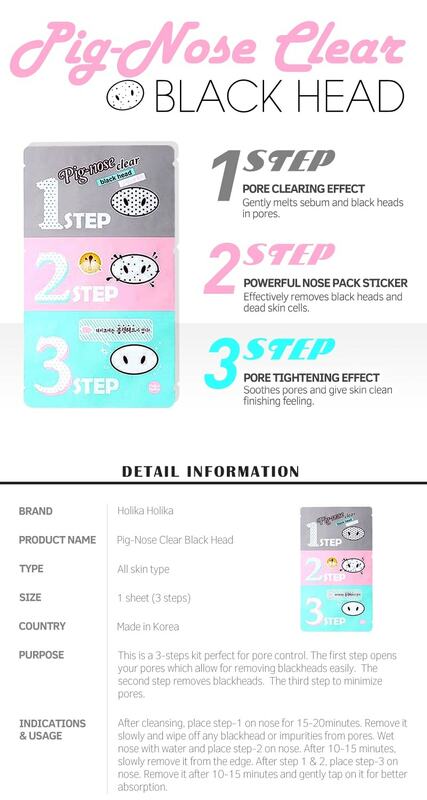 Holika Holika Pig Nose Clear Blackhead 3 step kit is a very effective and recommended Korean Skin product that can removes your blackheads instantly without pricking. It can removes sebum and refines the pore and also removes dead skin cells in your nose area. This Korean Beauty tool is a helpful brush to cleanse your face. A fine brush which sized 11.3cm x 1.. This Korean Skin Care product by Too Cool for School is one of the best nose masks that can easily r.. If you are the person who have been getting rid of blackheads on your nose, and sebum on your face, ..
W. Lab Black Kill 3-Step Nose Pack is a very effective mask sheet not to remove your blackheads but.. Description: A steam balm that removes dead skin cells, excess sebum, blackheads, whiteheads and .. Description: A Korean skincare product that removes the dead skin cells and excess sebum by a coo..